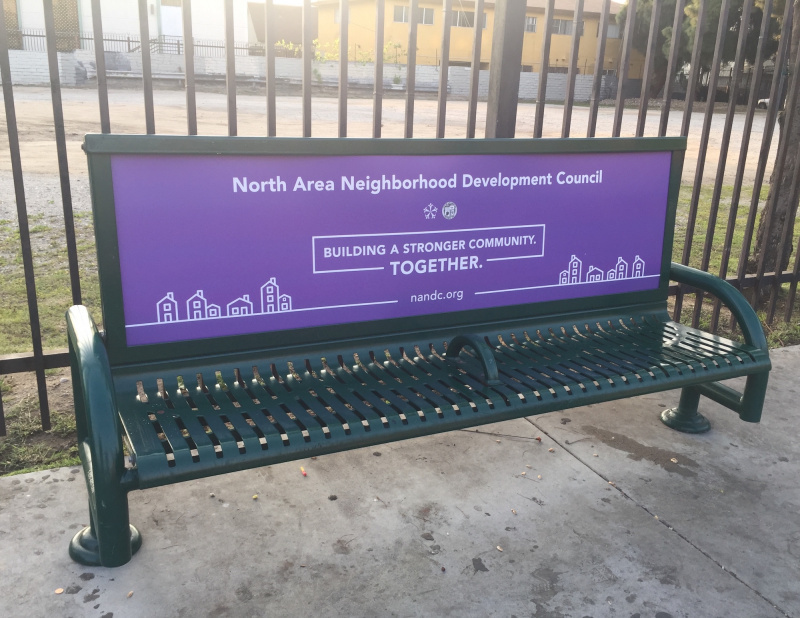 North Area Neighborhood Development Council › Check Out NANDC's New Bus Bench Ads! In order to connect with as many stakeholders as we can, NANDC has begun a brand new advertising campaign, installing bus bench ads across several locations in our district. Have you seen our bus bench ads? Take a photo and tag us on Twitter and Instagram at @ecnandc!